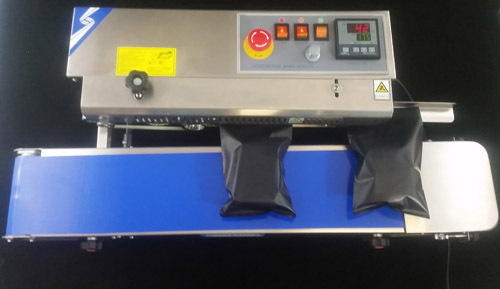 The CBS-880 continuous band sealer is a high speed band sealer made to seal thousands of products daily. 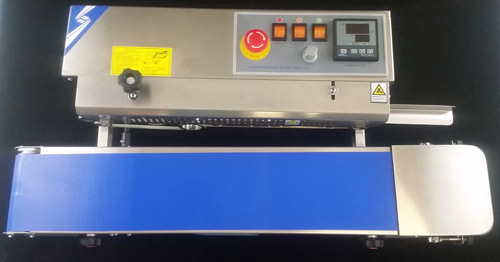 The CBS-880 band sealer features a control panel capable of adjusting conveyor speed and seal temperature. 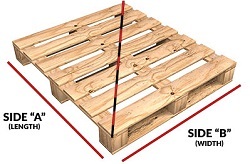 The conveyor height and width settings are fully adjustable to accommodate the bag size being used. 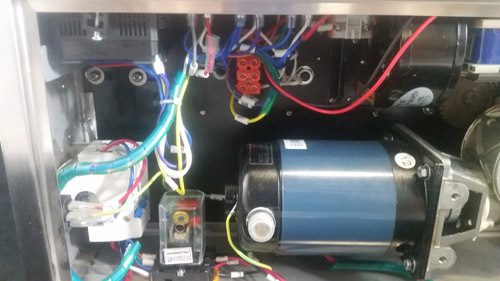 Operators can quickly and easily adjust the 880 band sealer to fit the material being used. The CBS 880 also offers an option vertical mount to allow customers to package a variety of gusseted and stand-up pouches. See machine details below. Order online today or call our sales team at 1-800-441-5090 with questions and recommendations.